I was a bit confused about wording in mock assessment. The question contained the following: Please note that adverse variance is considered significant when it's over 20% AND greater than £2000. 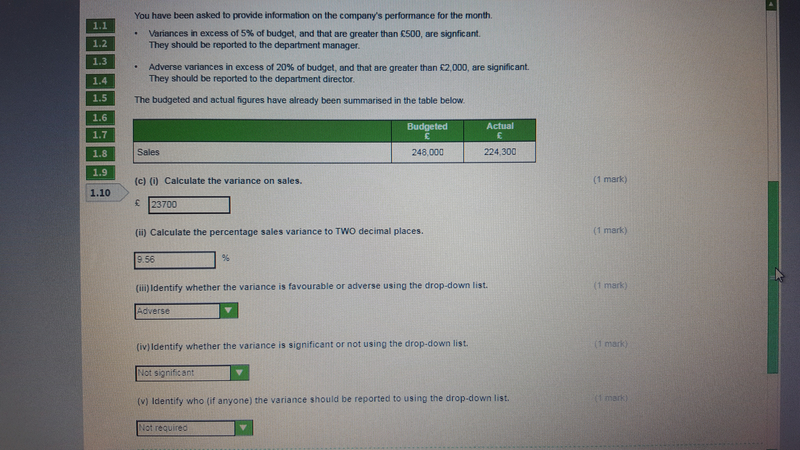 I answered the question 'not significant' as the value was £23000 but only 8%. Turns out my answer was wrong. The correct answer was the variance being classed as significant. This resulted me to lose 3 points in this exercise as getting that bit wrong caused other answers relating to this answer to be wrong too. Would you agree that the wording in this task is misleading? Instead of AND shouldn't it say OR? Or am I overthinking things? I don't want to be losing points at the exam. 1) Are you 100% sure you've calculated everything correct? 2) Can you post the whole question here so we can have a look? (If it's from your actual AAT exam then don't post it as it's classified as sharing live exam information, but if it's mock assessment or something that your college/tutor gave then it's fine to share). 3) Yes - by reading the question I would assume the variance needs to be above £2000 and be over 20% to be classified as significant. 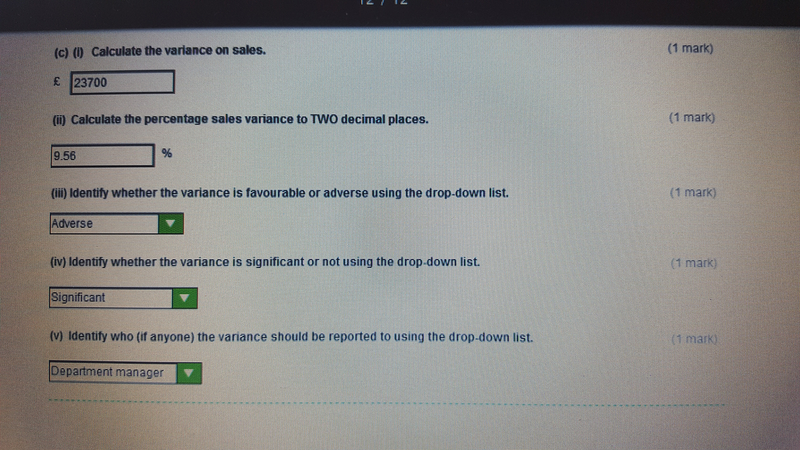 If the "and" would be changed to "or" then that would mean the variance needs to be either above £2,000 or above 20%. I have similar issues with AAT where I just misunderstand the question or misread it or simply don't understand what I am being asked to do as sometimes the questions are written in complicated ways.. Thank you for your reply. It made me look at the question again and I already know where I went wrong. I was focusing on the 'adverse variance' too much rather than seeing the other criteria of variance..I wonder whether many people would fall for the same 'trick' in the question.. I'm attaching the mock assessment task with my answers and the correct answers. No worries, this question is easily mistaken. I assume you already know where you went wrong? Especially when you doing Level 4 you need to be very careful with questions as the wording of the question is very tricky and you need to be paying attention. I always now re-read the question 2/3 times and then think for few minutes what's asking me to do, this has helped me a lot through my studies. Accounting is not something you can scan through and do it quickly, it requires a lot of time and to have good eye for the detail. Anyway it is all helping me to prepare for my real assessment on Fri.
No worries! If you got any questions let me know, I hope your exam goes well! Keep practicing AAT mocks, I was very surprised to find out how similar they are to real exams.. I've just started studying Level 2 and when doing the questions or mock exams this is what I struggle with most as well. So used to just scanning a question then getitng it right. But now I'm getting super easy questions wrong because I don't think to read the question more than once!! Need to make a habit of it reading it more than once ASAP.